Psst! Want to know a secret? Well, let me introduce you to Secret Golf, a possible last minute Christmas gift suggestion for the serious, competitive and/or passionate golfer on your list. 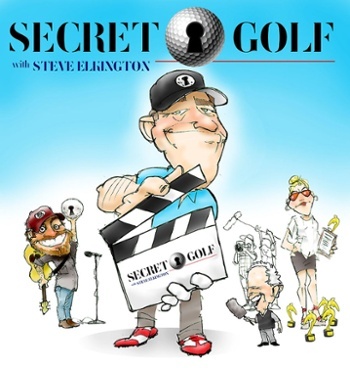 Available by digital subscription only, Secret Golf is an ad-free streaming portal to access exclusive golf, entertainment, and instructional content through dedicated Player Channels. And until Jan. 1, 2017, it’s offered at nearly a 50% savings. More on that later. The calibre of the players currently offering content in this innovative manner is impressive: Major winners such as Steve Elkington, Jackie Burke, Jr., and Stacy Lewis; recent PGA Tour tournament winner Pat Perez; current Tour players Colt Knost and Jason Kokrak; and teaching professional Bradley Hughes of Australia, a former Tour player who was on a President’s Cup. All have a dedicated channel, allowing fans a direct and intimate connection to them and their paths to success. Recently, I was given a pass to take a look at Secret Golf and explore some of its content. I expected to spend only a brief period of time because, like many, I’m oversubscribed if not overloaded with golf and instructional material. Sometimes I feel like taking a machete to all the clutter out there. But I must confess that in spite of being a skeptic about these channels, I was drawn into them and got hooked. —How Elkington and Burke discuss the origins of the “it’s in the dirt” maxim attributed to Ben Hogan. Back then, players hit shag balls in the caddie yard where blades of grass were rare. —How Lewis and Elkington discuss the keys to her powerful yet graceful swing. “For me, it’s all about synching my hip and shoulder turn and having them stop at the same time on the backswing,” says Lewis. In all, there’s more than 1,500 vintage vault videos, two seasons of ‘Secret Golf with Elkington,’ 15 hours of instructional videos and the growing content of the Player Channels. In a few cases of the older video content, some shows lacked polish and careful editing. But the newer content, especially the Player Channels, is professionally done and edited. At $7.95 per month or $69.95 annually (a 25% savings), Secret Golf seems reasonably priced for golf fanatics, coaches, aspiring competitive players and doting parents and grandparents alike. But currently there’s an end-of-the-year holiday special (ending Jan.1, 2017) of $36 for an annual subscription. Now that’s a stocking stuffer! Heck, Jackie Burke alone is worth the price of admission. For more information, visit www.secretgolf.com Amazon Prime members may opt for a 7-day free trial.